Home → Handy Hints → When Is An Emergency Plumber Needed? When Is An Emergency Plumber Needed? Maintenance of a home is one of the important things one observes and anything that is not in order is usually up for repair and/or replacement. One of such maintenance is the plumbing system. It will be very critical should any of the plumbing system fail, it necessitate you to either fix it yourself or call in a specialized and qualified plumber to do the repairs. When a water pipe bursts, the toilets clog and block, air conditioner breaks down, hot water system fails or any other issue may be an emergency meaning you cannot take all your time. 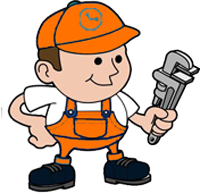 For the case of emergency the response from you should be quick to contact your plumber to perform the repair services. Some of the plumbing failures and malfunctioning are so dire that it is no longer any other DIY (Do It Yourself) procedure but a case that warrants an emergence call for help from a plumber. If you have a serious fault with the water supply pipe, failed water pumps or tanks, or even a burst and leaking, or frozen pipe are some of the examples. The damages developed are very rapid and if not repaired urgently, will result to a situation you will not like to face. It will be an emergency case when the plumbing damages becomes a threat to comfort living. An example may be the hot water system or even the heating system in the house more so during a winter season when it is very cold. You will freeze if the emergency plumbing is not done in proper time. Always contact an emergency plumber when faced with a plumbing issue that can cause harm, injuries or other physical damages. You probably would not like to pay more for utilities not used. If a water pipe burst, definitely water which you pay for monthly runs off. The more the time passes the high the bills you will get. For that reason, issues that touch on payments should be replaced or fixed immediately hence the necessity of calling in an emergency plumber. Some of the plumbing breakages will extend to your neighbor whereby it will not be fully within your confines but involves other people. In this situation you should seek emergency plumbing and contacting the next victim. With proper handling of the situation it will do you a great favour and be a kind of relief.